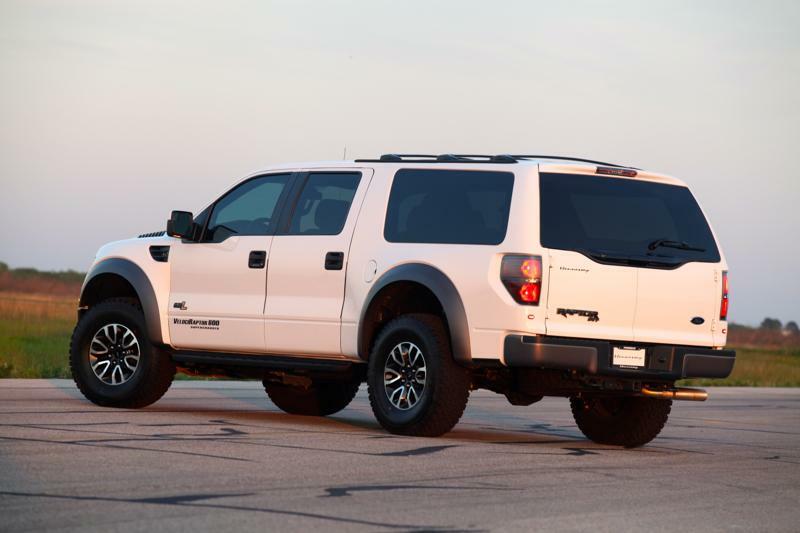 Hennessey released new details, photos and even a video presentation of the new VelociRaptor. 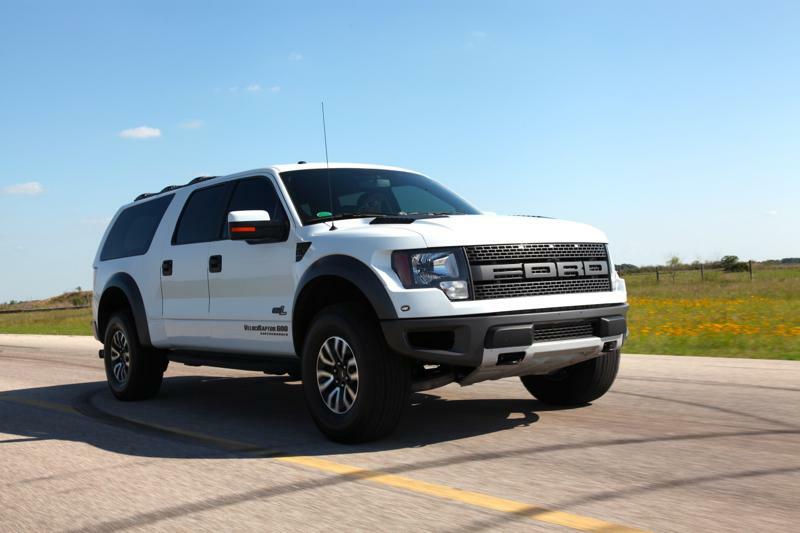 As you probably know, the American model is based on the Ford F-150 SVT Raptor and benefits from a 6.2-liter V8 engine producing 600 horsepower, enough for a 0-100 km/h sprint in 5,9 seconds. The massive model makes use of a supercharger, namely the VelociRaptor 600 which adds almost 200 horses to the stock engine. At the exterior, Hennessey offers new alloy wheels with massive tires, LED lights, revised bumpers and new brakes from Brembo. The new Hennessey VelociRaptor comes with a quite steep price tag of $149,500, only 30 units following to be built every year. “We are now very excited to be able to offer the VelociRaptor SUV to those who like the Raptor but want more seats and space,” says the company about the new high-performance model.